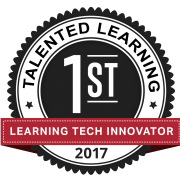 EdCast was named the #1 Learning Tech Innovator of 2017 by Talented Learning. “They’re changing the way the industry thinks about learning technology and best practices,” states John Leh, CEO and Chief Analyst at Talented Learning. 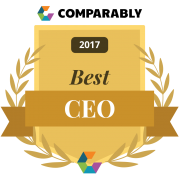 Compar ably.com ranked all of the top CEO in the USA and EdCast’s Founder and CEO, Karl Mehta, made the list for Small- and Mid-sized companies. “The executives included in Comparably’s annual Best CEOs list ranked among the highest rated leaders across thousands of CEOs. Karl Mehta’s inclusion on the list reflects EdCast’s place among the great teams and company cultures these leaders try to foster,” says Jason Nazar, CEO of Comparably.com. 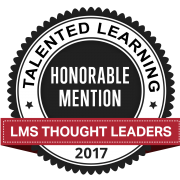 EdCast was given the 1st Honorable Mention on the LMS Thought Leaders list by Talented Learning. “With more than 700 LMS vendors vying for business today, the learning technology echo chamber can be deafening. But some vendor voices consistently rise above the expected in ways that deserve a buyer’s attention. We think those vendors deserve our attention, as well,” states John Leh, CEO and Chief Analyst at Talented Learning. 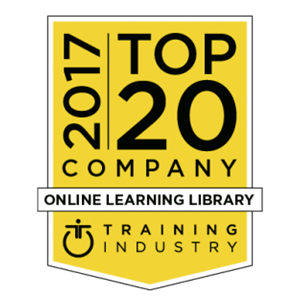 Training Industry announces EdCast as a 2017 Top 20 Online Learning Library Company in 2017. “This list was created to aid organizations in identifying the best resources for high quality, on-demand learning content and solutions. 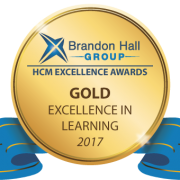 The organizations that qualified for this list show tremendous diversity in their course offerings while also providing innovative features and analytics that meet the need of modern learning and development,” said Ken Taylor, president of Training Industry, Inc.
Just a sample of the awards and accolades we received this year are listed here. We are truly honored by the acceptance EdCast has received in the marketplace and from industry analysts. We are blazing new trails with AI-driven knowledge tools to improve personalization and solve the content discovery problem, so organizations can get more out of their training efforts.